The Lexington is conveniently situated in the town of Jackson at 285 N. Cache Drive. 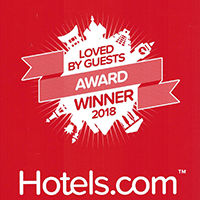 Located less than two blocks from the historic Town Square, the hotel is within easy walking distance of an array of cultural attractions, shops, parks and eateries. 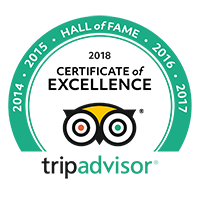 Getting to the Lexington from far-flung destinations is an exhilarating experience in and of itself as this area of Wyoming provides some of the most picturesque alpine scenery anywhere in the world. Located just minutes from Grand Teton and Yellowstone National Parks, you’ll be treated to unforgettable mountain views as you touch down on the runway or glide into town by car. 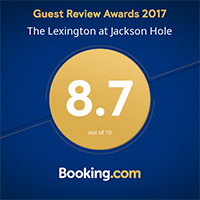 The Lexington’s nearest airport is the Jackson Hole Airport (JAC), located just 9 miles from the hotel’s front doors and providing daily flights to and from numerous destinations via several commercial carriers. Guest often choose to fly into either Salt Lake City (SLC) or Idaho Falls (IDA) as well. The Lexington at Jackson Hole guests will enjoy the convenience of the hotel’s complimentary airport shuttle service- Available from 7 am to 9 pm. When you land, call 307-733-2648 for pickup. If you prefer, rental cars and taxis are available from both the town and airport. From Moran Junction, follow US-191 S/US-26 W/US-89 south towards Jackson for 30.2 miles as it parallels the Snake River and provides views of the Teton Mountains. Take note of the National Elk Refuge situated off to your left as the highway becomes N. Cache Drive. The entrance is to The Lexington at Jackson Hole will be on your right just after Mercill Avenue (just past the first stoplight in town). From the top of Teton Pass, follow WY-22 E for 11.1 miles (Through the small town of Wilson, and 3 stoplights). You’ll enter the town of Jackson and immediately come to a T junction with a stoplight. Turn left onto W Broadway (also called US-191 N/US-26 E/US-89 N). Follow for 1.4 miles and then turn left at the second stoplight onto N. Cache Drive. You’ll see the town square with elk antler arches on each corner. The Lexington at Jackson Hole is 1 ½ blocks north of the town square on your left. From Hoback Junction, follow US-189 N/US-191 N/US-26 E/US-89 North for 13.3 miles. As you enter town, the highway will become known as Broadway. You’ll pass through 4 stoplights. At the 5th stoplight, turn left onto N. Cache Drive.